There will be no sewing this week at SCQ Towers, but I can show you my progress on the pillows/cushions I am making with the She Can Quilt Blogger Bundle from Fluffy Sheep Quilting. I have wanted a wonky cross pillow for a long time, and I am so pleased at how these fabrics work together using this pattern. The back is quilted too, and so all I need it time to add the invisible zipper and write you the quick tutorial, hopefully Friday night. Here is my other pillow top so far. I made a pillow with this sort of improv pixels with white Essex Linen for a swap a while ago and have been wanting to do something similar for me. I am looking forward to finishing it too. 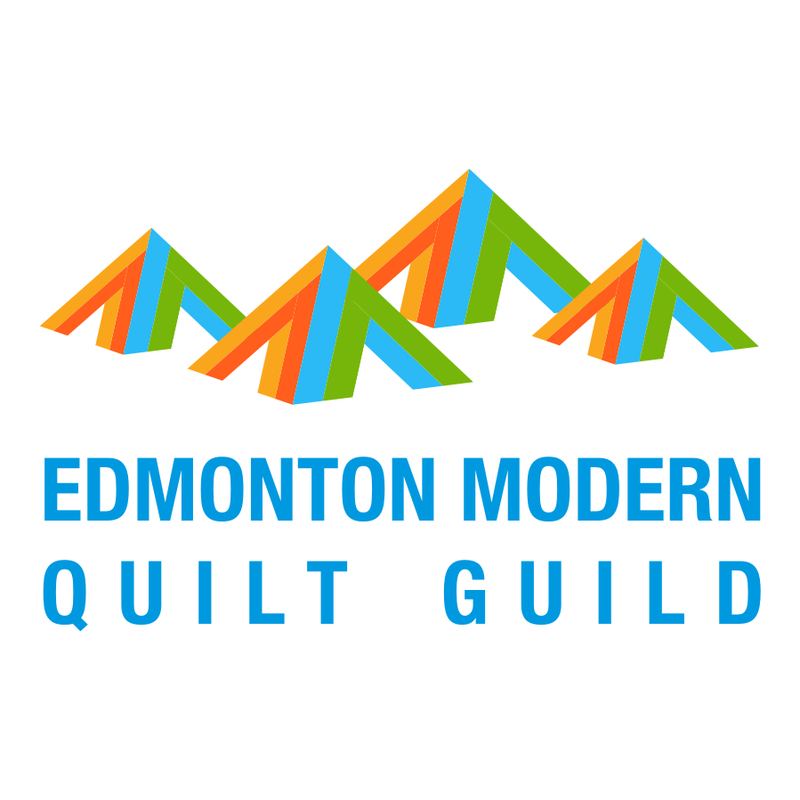 If you have not yet seen the news, the final three fantastic quilts picked in the Modern Quilt Guild's Riley Blake Fabric Challenge are here. Thank you to the MQG and Riley Blake for the challenge and I continue to be thrilled that Triangle City was part of the top 10. 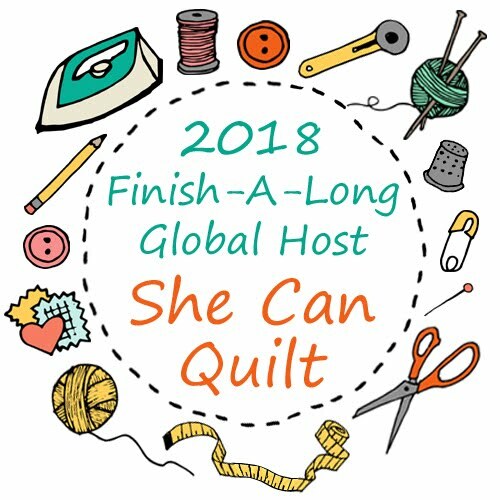 All the quilts entered in this challenge were fantastic and my guild is going to be participating in the next fabric challenge too. I am so pleased and proud to see Cycles 2 still popping up around the internet. You can see her on the Craftsy Blog in Christa's article here. The Quilt Inspiration Blog showed her off here. Christa wrote about the AQS show here on Christa Quilts. The mention of QuitCon got everyone booking hotels already. I saw a note that the MQG is going to get some more rooms for those of us who did not realize there was a rush. I am so going, it is going to be so fun to meet so may of my internet friends in person. Jess and I am so pleased at the response to our questionnaire for Decipher Your Quilt. The series starts next Thursday so if you have not yet done so and have a minute, we would appreciate your input on the questionnaire too. Don't forget to enter the draw sponsored by Oakshott Fabrics for the beautiful Oakshott Lipiaris and Colourshotts, it closes Friday night. I have a really busy work schedule this week, so off I go. 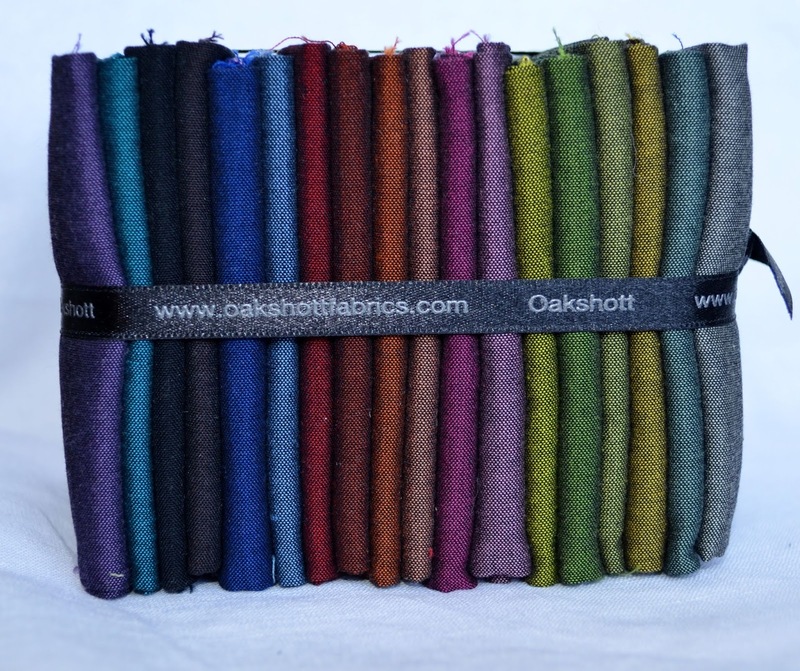 Today I am featuring my wonderful sponsor, Oakshott Fabrics. Oakshott Fabrics is a family run business in the UK, and I have had the pleasure of visiting twice with Micheal Oakshott in person at the Fat Quarterly Retreat in London. He is charming, interesting, and committed to providing top quality, beautiful fabrics to quilters and the sewing community. Michael and his mother Julia have and continue to develop the most beautiful colour range of the beautiful quality unique fabrics in careful and thoughtful partnerships with their suppliers. Oakshott Fabrics has the fastest and most efficient shipping of any fabric store I have dealt with - generally if I order on Monday I have the order in my hands in Canada by the same week's end, usually sooner. Also, if you do not live in the UK, you will not be charged the British VAT taxes, they are taken off before you checkout. These fabrics are also becoming more available at other shops around the world too. A shot cotton generally has two different colours woven together, one in the warp and a different one in the weft. The differences in those colours gives the fabric depth and movement. The use of wonderful cotton threads adds the shine and sparkle to these 100% cotton fabrics that is so hard to photograph. 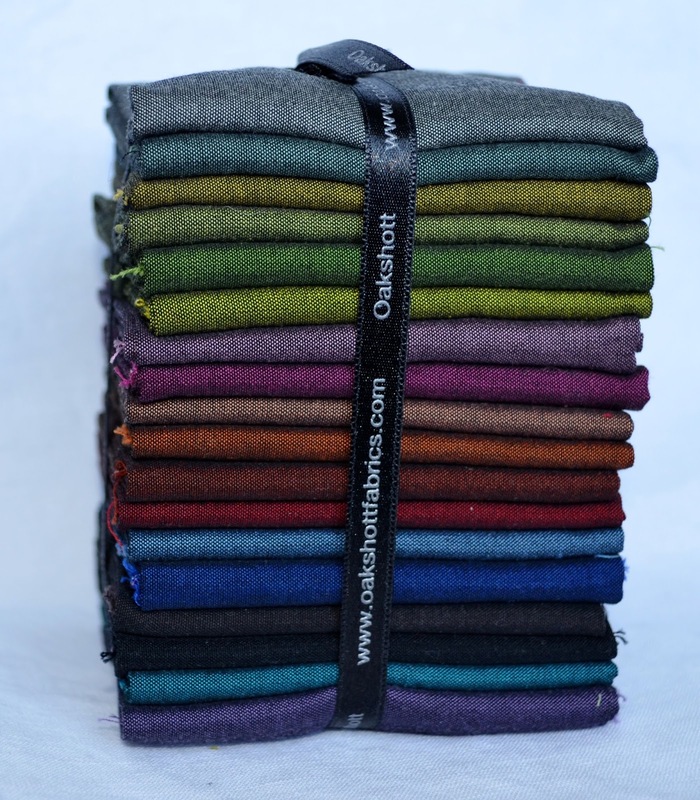 My love of Oakshott Fabric's shot cottons has been long standing and you have seen them often on my blog. You might remember my quilt Red, which is made from Oakshott Colourshotts and Essex Linen. This quilt just shines in the sun. Today I have two prizes to give away, and I think we should have two winners. One is that beautiful package of fat eights of Lipiari shot cottons. Each of these fabrics is has a black warp and a colourful weft. They sparkle like the downtown lights on a midnight walk just after the rain. One day I will make a cocktail dress out of one of these fabrics, they are so elegant. 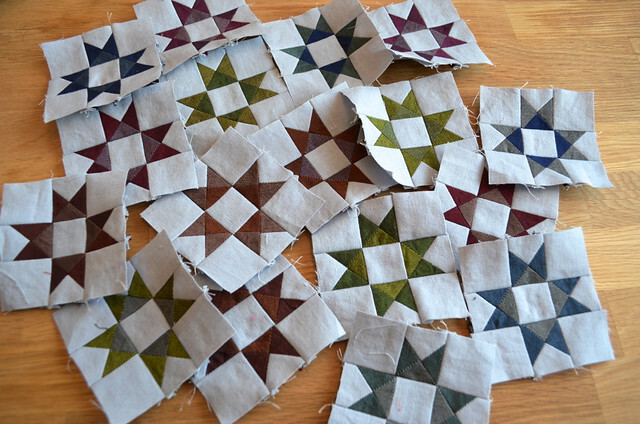 I tend to pair the Oakshotts with Essex Linen it seems, here are my stars made with Lipiaris, but they work fantastically with regular quilting cottons too. I made the Lipiari stars into a lovely runner that works all winter, not just for the holidays and is still out on my sideboard. 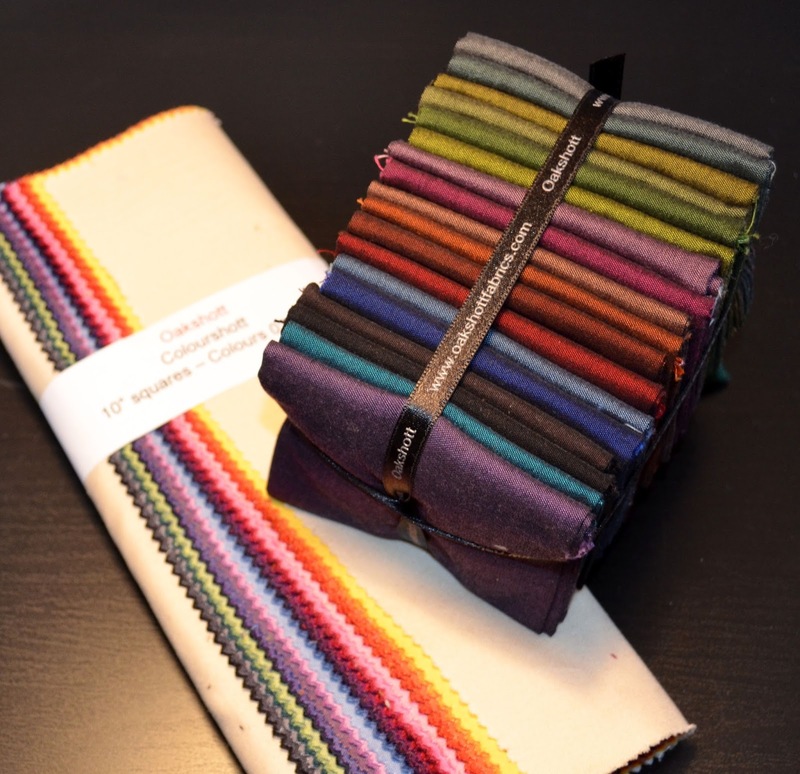 Our other prize is a set of 10" squares (layer cake size) of the 30 fabrics in the new Colourshott line. Michael has been working hard over the last several months to develop these new Colourshotts. The colours and drape of the fabrics are fantastic. Leave me a comment letting me know if you have used Oakshott shot cottons before, which of these two prizes you prefer and what you are thinking of using them for. Sign up for the the Oakshott Fabrics Newsletter and leave me another comment to let me know you did or that you are already signed up. Go here to sign up for the newsletter at the bottom right. If you have already done both of the above, and follow my blog or me on Instagram or become a new follower, you can have leave a third comment letting me know you do. Make sure I can reach you, if in doubt, put your email address in your comments. I will close this draw at 6:00 p.m. Friday, February 28. It will be a wonderful month end win for a couple of you. 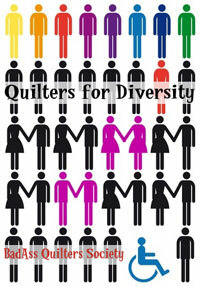 By the way, Jess and I are so pleased that so many of you have filled out our survey for Decipher Your Quilt. If you have not filled it out yet, please go here to read about our new series and I hope you will take a minute to fill in the survey too. Today Jess, from The Elven Garden, and I are going to tell you about new series - Decipher Your Quilt. We are inviting you to give us some information to allow us to tailor it to your needs by filling out our anonymous questionnaire by clicking here. I love quilting, in part because it is all about colour and shapes - sometimes repeating in the most organized fashion and sometimes just improv. However, it is often hard to figure out how a quilt block is actually made, what the measurements are and how it comes together. And what if you want to make them bigger or smaller and don't have instructions in a pattern? Decipher Your Quilt is all about getting straightforward answers to those kinds of questions without giving anyone a headache. We will share our knowledge with plenty of examples and photos, and will also find links to explanations, measurements and techniques that will be helpful to you. We are asking your to fill out our survey - just click here to do so - so that we can understand everyone's needs better. It will only take you a minute, does not require you to share your name and has space at the end for you to write whatever else you wish to share. You will also find in the survey a place to add a "Dear Abbey" style question (or more) for us to incorporate in the series. We are happy to get more "Dear Jess and Leanne" questions though out the series and we will set up a way to allow you to do that anonymously once the series starts. Of course, you can also ask questions via a comment on either of our blogs too. 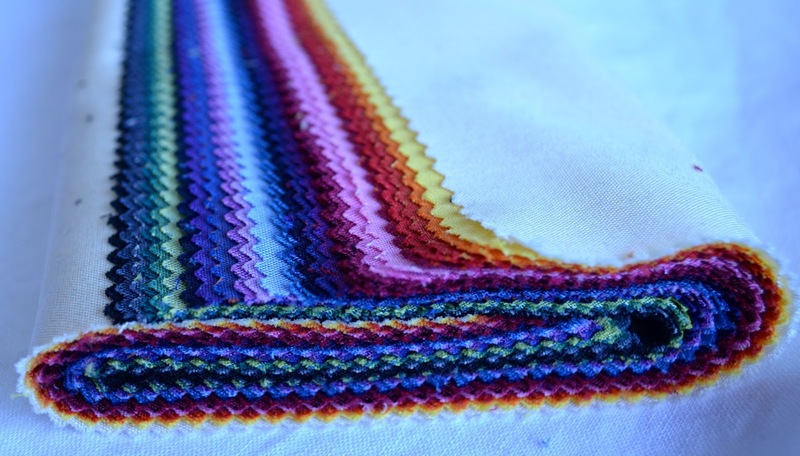 We have set up a flickr group - Decipher Your Quilt - and we hope you will join us there too. Post photos of projects where you have been able to decipher your quilt, your blocks, or generally have figured out some of the quilting calculations. You can also find us on Instagram - Leanne here and Jess here, please use the hashtag #decipheryourquilt so that we won't miss your photos. You can find our tentative schedule on a separate pages on my blog and on Jess's blog. Please grab our button, the one on my blog will take you back here and the one on Jess's will take you to her blog. Jess and I will be taking different parts of each topic each week. Jess and I will each post on Thursdays - it took some figuring to sort out how to have both posts go live at the same moment on the same day of the week because Jess is in Australia and I am in western Canada. Look for our posts at midnight MST and 6:00 p.m. AEDT (which is about 7 a.m. in London, for example). We are very excited about this series, so please fill out the survey, grab one of our buttons and join the Flickr group. Our first posts will be up on March 6.
p.s. If you have not yet entered the Green Fairy Quilts sponsored give away, what are you waiting for, please go here to do so as it closes first thing Friday morning. This week I am featuring a new sponsor of my blog, Green Fairy Quilts. Green Fairy Quilts is a family business run by Clint and Judi Madsen and it focuses on selling pre-cuts, thread and a few notions. I shop at this little store a lot because they often have the very best price, the service is excellent, their shipping costs are kept low for customers outside of the USA and shipping is free within the United States. Given how much I like them, I am so glad that they have become a sponsor here too. 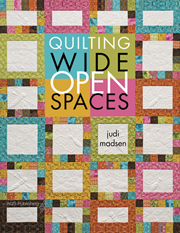 Judi is an award winning long arm machine quilter who has just published a beautiful book called Quilting Wide Open Spaces. This books gives beautiful quilting ideas - which I have been pouring over this week - and also includes some lovely patterns - and yes, you can order an autographed copy like I did if you like. Clint and Judi have a long term commitment to charity work to support orphans in Romania. 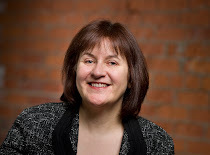 They also connect with the internet quilting community in all the usual ways, including facebook, Judi's blog and via their newsletter. Green Fairy Quilts have generously donated a Bartholomeows Reef Layer Cake for one of you to win. If you want to see more detailed photographs all the cute geometrics in this new line by Tim and Beck you can see them on the Moda site here. Sign up for the Green Fairy Quilts Newsletter, go here to do that and then you will not miss out on their Monday's Steal or other specials. While you are there, feel free to browse about the store too. Then come back and leave me a comment saying you did. If you are a follower of my blog, or become a new follower, you can have a second comment, just let me know how you follow me. Make sure I can contact you, if in doubt, leave your email in your comment. I will leave the draw open until 6:00 a.m. MST on Friday, February 21 so I can award the prize on Friday morning. I'll be back tomorrow with some quilting to share, it's holiday Monday for Family Day today and I will be sewing. So there is my APQS Millennium Long Arm Machine, all set up - well I still need the right kind of bulbs in my lights, but otherwise, it's done. The frame is 10 feet from end to end and the front most bar - the quilt back bar - is 6 feet from the back wall. It takes up almost all of my sewing room. Lightning, the quilting dog, is pleased that he still has a cozy spot. However, the cutting table has been moved to the room next door which is currently bursting at the seams and messy beyond belief. No, I shall not be showing that one, and tidying it is high on the to do list. This is the view from Lightning's bed. The door to the hallway is closed and you can see that if I cleaned up more of the messy closet I would have more space for my comfy chair. All that nice open space under the long arm will soon hold my scrap bins. As pretty as the floor is, I have no where else to put them, space is at a premium around here. This is the view standing at the window. I still have a nice spot to sew and the fabric can fit. The table on my Horizon is only 17" wide, as are the adjoining cupboards, so there is still room to stand and quilt at the front of the long arm. My sewing chair has wheels and is easily moved out of the way. Yesterday afternoon and evening I quilted on that long piece of IKEA fabric. I quilted up about 10 feet of it, just playing and learning the machine. My quilting is seriously questionable, but I have learned that the machine is fantastic to use. It will happily stitch away for hours on end, without complaint. My feet, on the other hand, are lobbying for an anti-fatigue mat. And look, it will happily do matchstick quilting, and do it fast too. You can see I wrote my name, which makes it official. This machine is a keeper. This afternoon, Matt and Bradie Sparrow - from Sparrow Studioz - came over to install Leader Grips for me - a system that allows you to load in your quilt back with just a snap on of a plastic grip, and I will share photos about them next time. Matt also went about and tidied up the cords, tightened the bolts, rearranged my tool box, set the timing, showed me how to adjust the tension and generally gave my assembly a passing grade. He was very polite about the quilting too, but I have a long way to go before I can quilt like he can. I have to say that these folks are just lovely to work with and have made this purchase a dream. Matt is the APQS guy in Canada - Canadian National Sales Director - and I am fortunate to have him and his studio handy. I totally recommend them if you are in Canada and looking at a similar purchase. I am going to go back to playing with my new machine. Tomorrow is a holiday here for Family Day so I can quilt more then too. Oh, and my machine needs a name. Although she says Millie on the side, I am sure that is her middle name. Any thoughts on what her name ought to be? 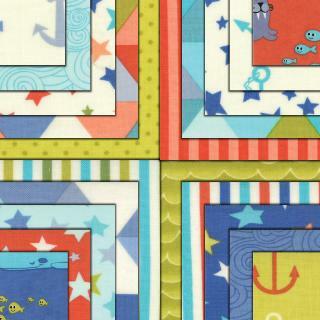 Something that fits with the industrial modern quilting that I hope she will help me to do.